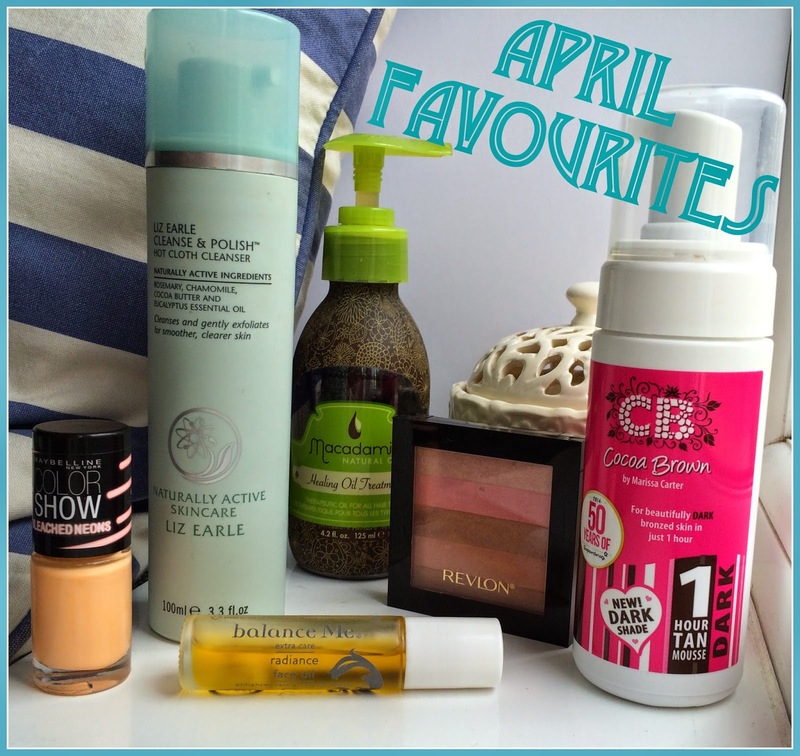 I've not done a favourites before and the reason is because I haven't really thought about any products that particularly stood out to me. It always seemed like I was using products that were doing just fine. But over the last 4 weeks I've noticed myself going 'that has really helped/ my hair feels great after using that/ I really bloody love this stuff!' so I wanted to share a few bits that I've been impressed with. I've been meaning to try out Cocoa Brown for a long while but I have so many bottles of fake tan I thought I'd be sensible and wait a while. 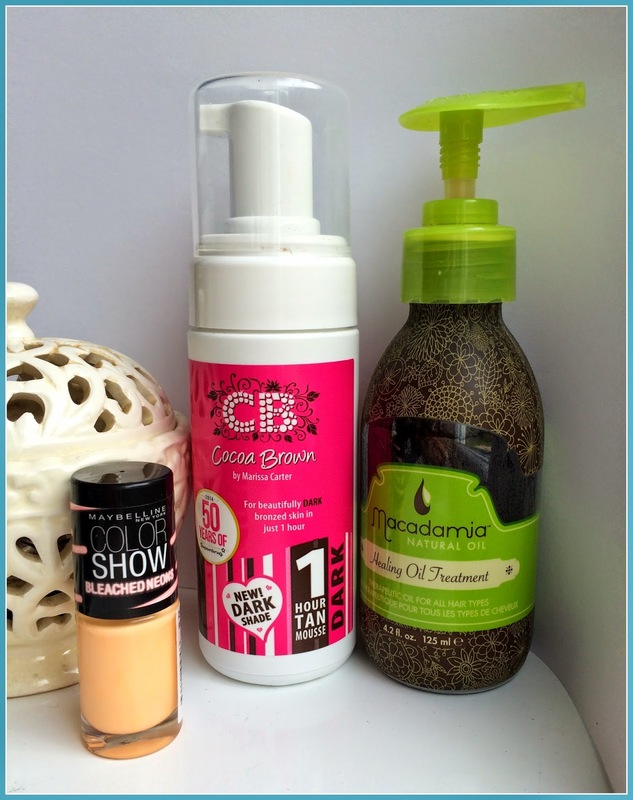 I was glad I did as I much prefer my tan to be dark and when I saw that Cocoa Brown had brought out a dark tan for Superdrug's 50th birthday I had to pick it up. I love that it develops so quickly and it's such a lovely deep colour too. I'll be doing a separate review soon. I've used this for months now and I had run out of it so switched back to my old Frizz Ease. I really noticed a difference in my hair so I had to invest in another bottle. It's well worth it and my hair is so much longer than it's ever been. I just run it through the ends of my hair after washing it. It smooths out split ends and smooths away frizz. It really is my holy grail product for hair. I've been told Moroccan Oil is even better so I might give that a go when this bottle runs out. There had to be a nail polish in this list and with the weather warming up the brighter colours are making an appearance! I'm so pleased with the bleached neons range. I love a bright nail polish and I've been wearing this one a lot. It's a bright peachy-orange shade that's really different from anything I've seen before and it's easily going to become one of my Summer favourites. Whenever I wear this I feel like a have such a glow (hence the name I guess!) I love the subtle shimmer and the fact if you swirl your brush at the top end you have more of a highlight and the bottom half a pinker blush. It's a great versatile product and I've even posted a selfie with (shock horror) #nofilter when wearing it! I got this in December's Latest in Beauty Box and it was kind of forgotten about. I gave it a go one evening and I was so impressed with how great my skin felt the next morning. I have dehydrated skin with a couple of dry patches, but also an oily t zone so I wasn't sure an oil was right for me. It turns out facial oils are perfect for oily and combination skin as it is extremely balancing and hydrating. It also helps with redness and scarring which is exactly what I need. The 10ml size has a glass roller ball which is really easy to apply and feels really soothing and relaxing. I apply it to my face before bed, concentrating on my scarring and dry patches. It's really made me feel more confident about my skin and has really improved it. I look more radiant and my scarring looks less fierce. I definitely plan to continue using facial oils so if you can recommend any others please let me know. This is loved by many a beauty blogger -and for good reason too. I love the smell of this and it really removes all traces of face and eye make up, even mascara. The smell of eucalyptus and rosemary is so calming and the cocoa butter makes my skin so soft and fresh after using it. It's lasting me we'll too, just under one pump of the product is enough to cover my face, I'll definitely be repurchasing this when it runs out. What were you loving this April? 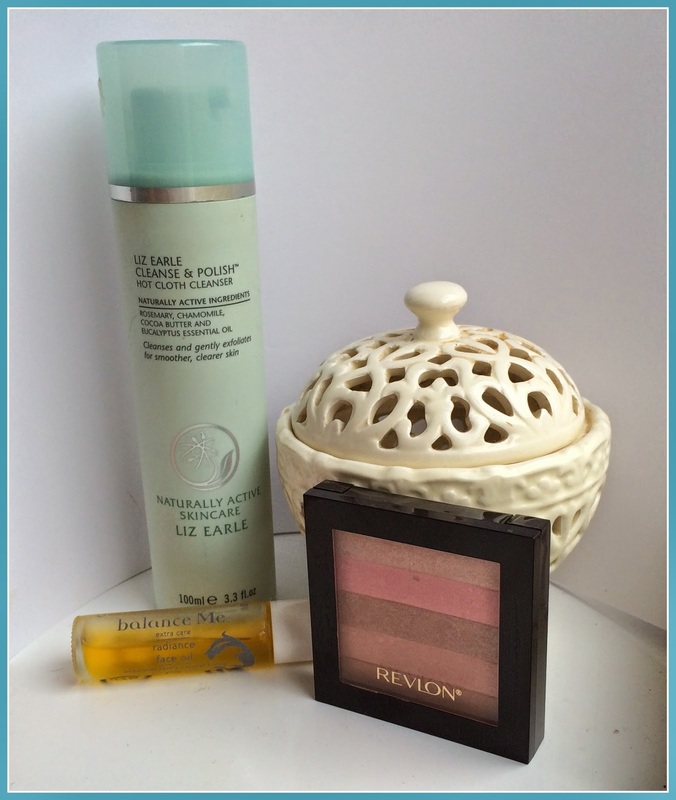 I love the Liz Earle cleanser and the Macadamia hair oil too, they're two of my favourite products and have been for a while! :) Will definitely be checking out some of your other recommendations! Macadamia is amazing! I'd love to try all their products! !